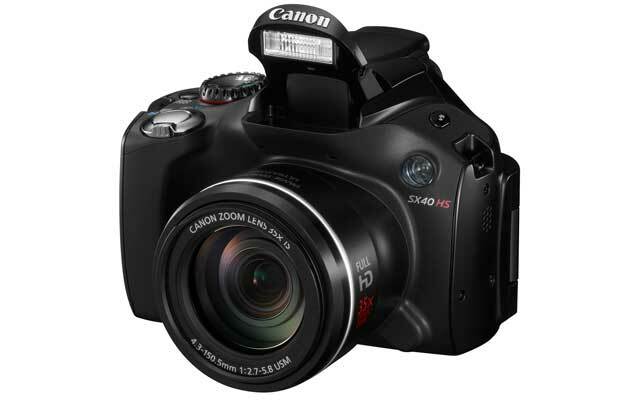 Canon took the wire this morning to announce two new significant point & shoot cameras. The PowerShot S100 replaces the much-loved S95 while the PowerShot SX40 HS becomes the company’s latest mega zoom shooter. Both hit at respectable price points and bring impressive new features including the DiGiC 5 processor that promises better low capture, improved color accuracy and even less digital noise — you know, overall better performance than the previous version. The S100 has big, but if you will, physically small, shoes to fill. This little shooter may look like any ol’ pocket type, but it actually packs an impressive feature set and will hopefully follow the same trail to photographic stardom as its predecessor, the S95. You see, the S95 is almost universially loved for its impressive low light ability and great f2.0 lens. However, battery life is poor and the video capture is limited to 720p. The S100 should solve both of those issues. A CMOS sensor rests ehind a f2.0 lens that’s slightly wider and longer than used in the S95. Gone is the CCD chip used in the previous model, but this new sensor allows for 1080p video capture and an ISO of 6400, twice that of the S95. The camera also features the new DiGiC 5 processor that among the aforementioned abilities allows for an impressive burst mode dubbed Highspeed Burst HQ that captures 8 frames at full resolution at a rate of 9.6 photos per second. This burst mode, also featured on the SX40 below, is Canon’s first full resolution mode as previous incarnations dropped the resolution down to 2MP. The S100 is housed in an even smaller casing than the already-pocket friendly S95 despite retaining the multi-function lens ring, 3-inch rear LCD panel and the new integrated GPS chip. 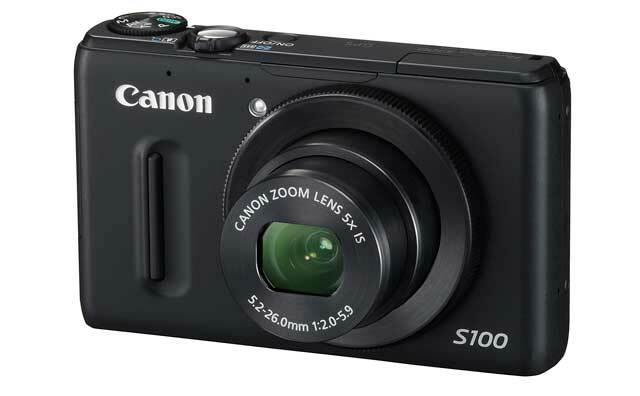 Expect the S100 sometime in early November for $429. Ths SX40 HS replaces the aging SX30 IS. It hits at the same $429 price point as the old version but packs the same 12.1 MP sensor and DiGiC processor used in the S100. This allows for 1080p recording and high speed burst capture, but through the eyes of the same 35x IS lens used in the SX30 IS. This massive 150.5mm, f2.7 lens requires an equally as massive camera housing and it seems as if Canon also employed the old housing as well. But still, the new sensor powered by the new image processor, likely makes the SX40 a worthy successor.